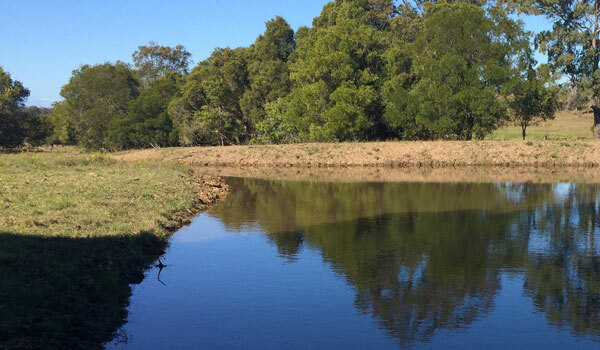 In a first for the regulator, a contractor who constructed a dam for a property owner at Koorainghat near Taree without seeking the relevant controlled activity approvals was found to be more responsible for the alleged breach of water laws than the owner. In that case, an earthmoving company was issued with a $1500 penalty notice for constructing a dam on a third-order stream without approval, while the property owners were given an official caution. Besides the fine, the contractor was directed to prepare a report on decommissioning the dam, to complete the decommissioning and to revegetate the site. The contractor was considered more culpable as he did not check the stream order (different rules apply to different order streams) and did not check if the owners had obtained a water supply work approval from WaterNSW before starting the work. Construction of a dam without approval is an offence under s91B of the Water Management Act 2000. The NRAR’s Chief Regulatory Officer, Grant Barnes, said careful assessment of culpability in each case was a critical part of gaining the public’s trust in the NRAR’s fair enforcement of water laws, particularly where more than one party was involved. “While we’ve had other cases involving contractors where it was the landowner who was found to be most responsible for the breach, this is the first case where it was established that the contractor was most at fault, mainly due to his industry knowledge of the rules,” Mr Barnes said. The NRAR’s investigators and compliance officers travel all over the state’s 57 water sharing plan areas, inspecting properties and assessing compliance with water users’ licences and the Water Management Act 2000. For further information about the NRAR and what it does, visit here.